Marettimo, off the coast of Sicily is one of the Aegadian Islands. 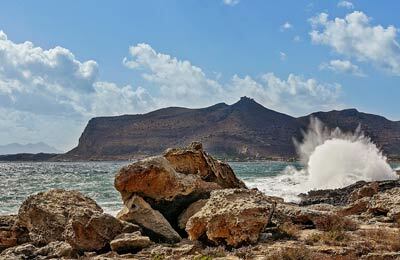 This beautiful and largely unspoilt island can be reached by ferry from Trapani in Sicily with the ferry company Siremar. 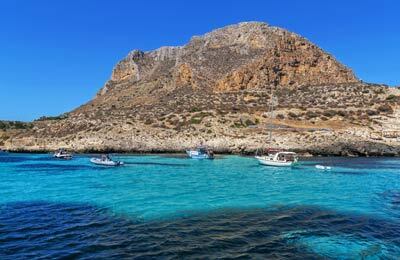 Your ferry will also pass by the other Aegadian Islands of Levanzo and Favignana. You can book Marettimo ferries simply and easily online with AFerry. With Siremar, you will find comfortable seating offering panoramic views through the large windows of the ship. Ferries between the Aegadian Islands and Sicily are fastcraft hydrofoils and can reach speeds of up to 40 knots. These routes are only available to foot passengers. Book your ferry to today to the stunning island of Marettimo with AFerry. We're sure you won't regret visiting! As the port is so small there are no real facilities. However, there doesn't need to be and there are nearby restaurants, rooms and cafes that can cater to your needs as you wait for your ferry. Marettimo has been called one of the best unsung beach holiday resorts in Europe. This very green island with almost no cars is perfect if you really want to get away from it all. And the hydrofoil ferry from Trapani in Sicily takes just over an hour. As the island is very small, with, in fact, hardly any usable roads, getting to and from the port is not difficult and is best done on foot. Marettimo is one of the Aegadian Islands in the Mediterranean Sea west of Sicily, Italy. From Trapani, it takes about an hour by ferry to reach the island, where you'll find small, whitewashed houses nestling around a little harbour packed with fishing boats. There are plenty of walking trails on the island and keen hikers can reach the highest points and discover ancient look-outs - the Norman castle on the north-eastern coast and remains of a handful of Roman buildings. Linger over a coffee, watching the world go by in the old fishing port and enjoy the peace and unspoilt beauty of this secret island.